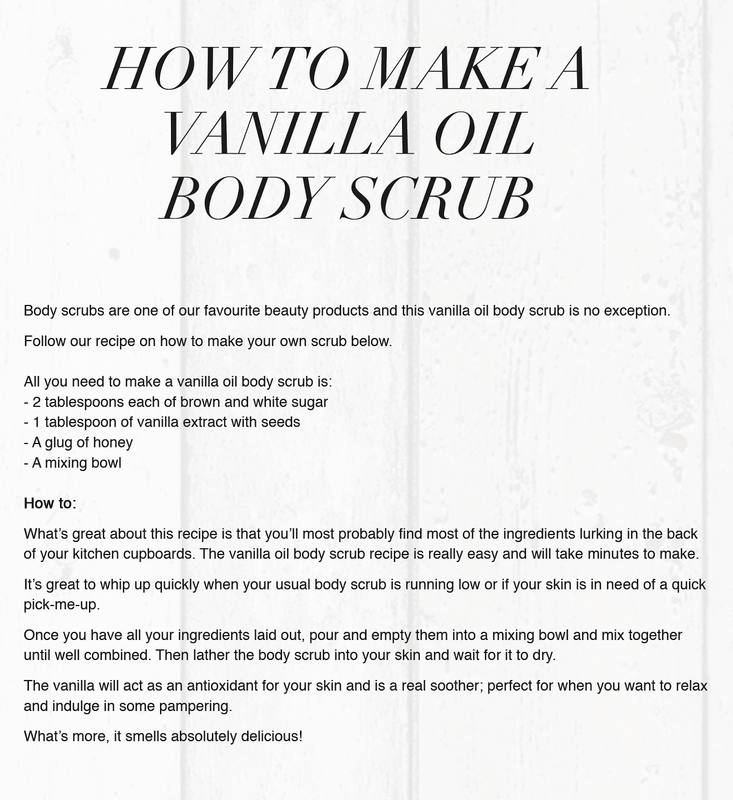 This weeks ‘How To..’ guide, from Dirty Looks, teaches us how to make a Vanilla Oil Body Scrub. 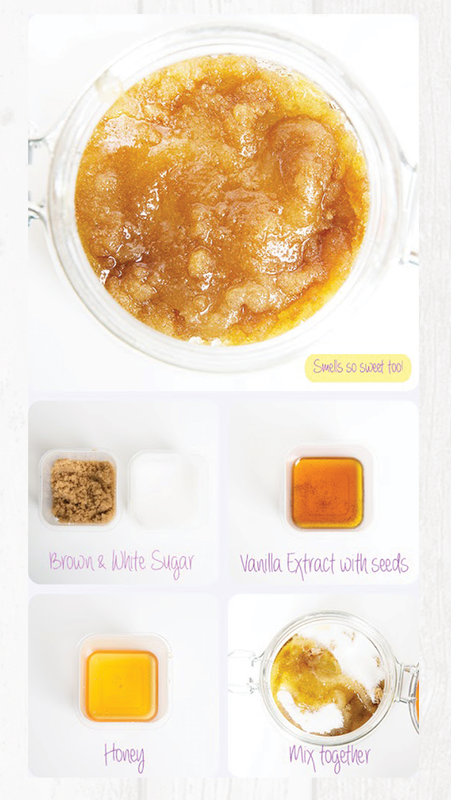 I actually LOVE scrubs, so to see how easy they are to make is great! This time of year, our skin takes a beating from the regular shift in temperature from going outside and coming in, not to mention work air con systems. Drinking water can really help with keeping the skin hydrated and looking great, but a good exfoliant helps promote new skin growth, brightens up new skin and helps rid the skin or whiteheads, blackheads and ingrown hairs.